What’s the Trans Papua Road Project? The Ministry of Public Works and Public Housing (PUPR) provides an explanation regarding the construction of roads in the National Border Crossing Post (PLBN) such as in Papua Province which is still in the stage of land clearing. 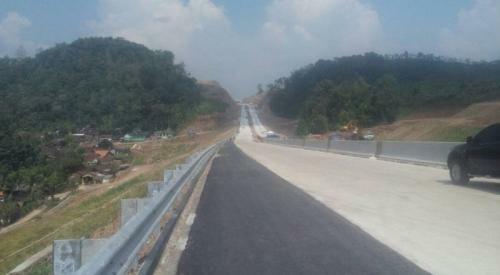 Director General (Director General) of Bina Marga of the Ministry of PUPR, Sugiyartanto said that his party is currently continuing the Jayapura-Wamena trans road for the Trans Papua Highway. In addition to the border, Trans Papua Oksibil down to the direction to Merauke will continue this year. “While those from the bottom to Red Grounds up to the middle are not yet significant natural conditions. Maybe up to the State Border Crossing Post (PLBN), Yeptikun,” he said at the Ministry of PUPR, Jakarta, Monday (05/11/2018). Meanwhile, PUPR Minister, Basuki Hadimuljono, ensured that the development target was completed in 2019. Which is now completed by Trans Papua in West Papua Province. “Trans Papua is still 193 km which has not yet penetrated,” he said. Previously, Minister of Public Works and Public Housing (PUPR), Basuki Hadimuljono, said that infrastructure development was the focus of the government not only pursuing economic growth and increasing competitiveness, but also equitable distribution of development outcomes by taking into account people’s needs. By paying attention to the needs of the community, it is expected that infrastructure development will directly and equally benefit economic and social benefits throughout Indonesia. Minister Basuki gives an example, in addition to renovating the core building in 7 National Border Crossing Posts (PLBN), the Ministry of PUPR will also complete each State Budget, with market buildings currently under construction.